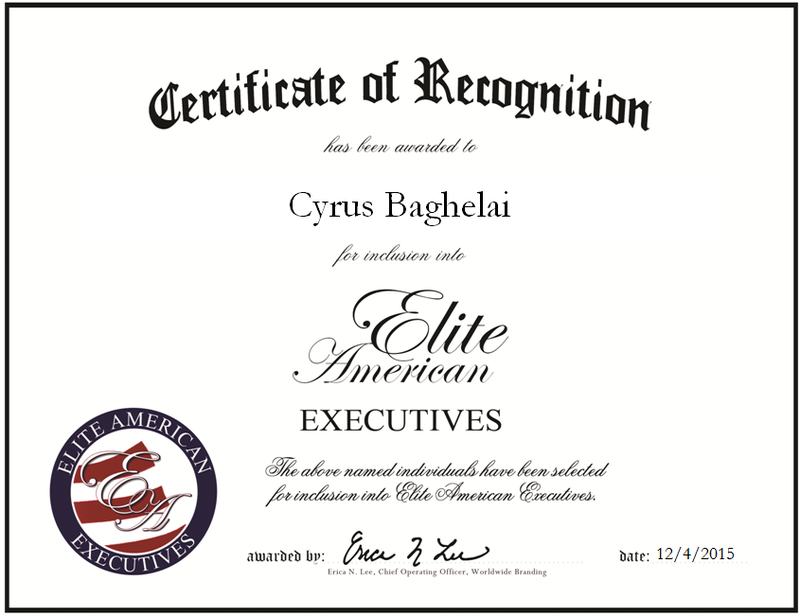 ← James C. Dalmida Jr.
Bethesda, MD, December 4, 2015, Cyrus Baghelai, President and Chief Executive Officer of Econometrica, Inc., has been recognized by Elite American Executives, for dedication, achievement and leadership in research and management. Mr. Baghelai has led Econometrica for more than 17 years and has provided the clientele with top-quality research services and economic strategizing. As president and CEO, he is responsible for working directly with clients. 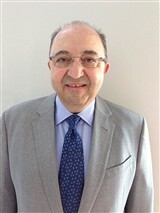 With nearly four decades of experience, Mr. Baghelai has been guided by his passion for the work to attain success. He specializes in economics, industrial engineering, and operations research. With close proximity to Washington D.C., the projects Econometrica undertakes often services the government departments of Health and Human Services, Housing and Urban Development, Transportation, Energy, Labor, Homeland Security, Agriculture and Veterans Affairs. The road to starting and managing the company began as early as Mr. Baghelai’s educational career. First earning a Bachelor of Science in economics from National University, he continued on to obtain a Master of Science in operations research and industrial engineering at Illinois Institute of Technology. He also holds a Master of Science in economics from the University of Southern California. Along with his prior work experience, Mr. Baghelai has been able to deliver valuable results to clients in the public and private sectors. The research and analysis Econometrica provides pulls together theories, statistics, and mathematical techniques to evaluate the health, housing, energy, security, and transportation fields. Everything is considered in the review of an organization, the benefits, impacts, policy, contingency, and environmental. In the coming years, Mr. Baghelai looks to grow the company and raising revenue and profitability. This entry was posted in Management Consulting and tagged analysis, economic evaluations, economic strategizing, microeconomic principles, research. Bookmark the permalink.